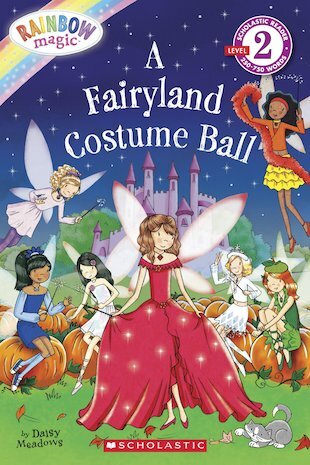 The Jewel Fairies are going to a glitzy, glamorous costume party at Fairyland Palace – and you’re invited too! It’s the biggest, best and most beautiful ball of the year, and the fairies are simply flapping with excitement. A party like this needs the perfect costume, but Amy the Amethyst Fairy hasn’t got a clue what to wear. Should she wear something silly? Something sparkly? Or perhaps something a little bit strange? Follow Amy and her well-dressed fairy friends to the palace ball in this colourful early reader, bursting with spectacular sparkle!